Huaxing Nets provide high quality mussel socking for all over the world. All the above dimensions can be customized. 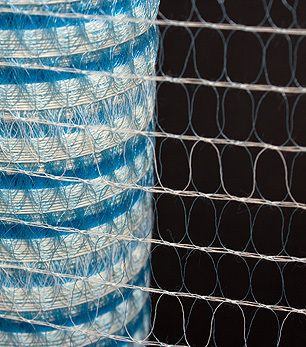 A known significant benefit is the use of cotton strands that bisect the square mesh openings of the polyethylene. These cotton strands act to contain the mussel seed during socking, handling / transfer, and attachment to lines which greatly reduces the loss of mussel seed due to shake-out. The cotton strands biodegrade after about three to six weeks, allowing the mussels to migrate out of the sock. First, the length of the sock does not change and the meshes of the sock remain open, even after the mussels have migrated out of the sock, creating a better structure for byssal thread attachment and reduced fall-off. Other types of mussel socks do not have a fixed length, after the mussel seed migrates to the outside of the sock there is nothing inside the sock to maintain the diameter, as a result the mesh cells close longitudinally and the mussel sock elongates which may cause a problem in shallow water. However, the main disadvantage of these types of socks is that the mesh of cells closes in a lengthwise direction creating a rope like structure with very limited area for byssal thread attachment by the mussels. 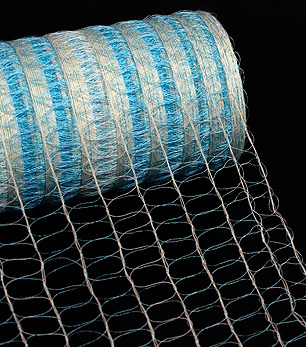 The fixed cell construction of Huaxing Nets socks ensure that the cells do not close, providing the mussels with a mesh cell sock of uniform length and far superior surface area and structure for byssal thread attachment resulting in significantly reduced fall-off and greater market yields per metre. Second, the mussel sock tube size (diameter) stays consistent during the socking operation which provides consistent counts of mussels per meter even when inexperienced staff performs this task. Mussel socks that do not have a fixed mesh size can be stretched vertically and horizontally, this means that significant time is required to train the workers filling the socks to control the diameter of the sock to control the number of mussels per metre (stocking density). The consistent diameter of Huaxing Nets mussel socks eliminates this problem, ensuring that all socks have consistent stocking densities. This eliminates significant time for training and density checks and allows companies to increase production volumes using unskilled labour. Grading and re-socking enables the farmer to achieve consistent yields in terms of mussel size and count per meter which results in a more valuable crop at the market (processing) grading stage. Third, the reinforcement band that fixes length and diameter also increases the strength of the mussel sock which eliminates the requirement to use a re-enforcing cord or twine to increase the tensile strength of the mussel sock which is frequently required with other mussel socks. Additionally, through the use of a customized production line and sewing machines, the mussel socks can be supplied in bales of 500 or 1,000 pieces cut and sewn closed at one end, ready for use in the re-socking procedure after grading of the seed stock. These cut and sewn socks reduce the amount of socking material required and significantly reduce the time required to re-sock the seed. *Collecting the spat. Once the mussel larvae attaches to the rope it is called spat or speed. Sections of rope(1-2m) are suspended in the water column to collect free swimming mussel larvae. Please contact us if any questions, our sales team will always be happy to provide you with the most professional info.